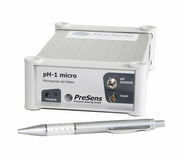 The pH-1 micro is a precise fiber optic pH meter. 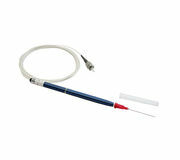 It is temperature compensated and used with pH microsensors based on a 140 μm optical fiber. A PC is connected to run the user-friendly software. pH-1 micro is additionally equipped with an analogue output and a trigger input. The pH Profiling Microsensor can be used for all profiling applications in semi-solid substrates, such as sediments, microbial mats or biofilms. The PM-HP5 is the most robust version of PreSens pH Microsensors and has a close-fitting fiber guidance and mechanical interlock for precise vertical localization of the measurement tip. The sensor tip is extendable with a turning mechanism. 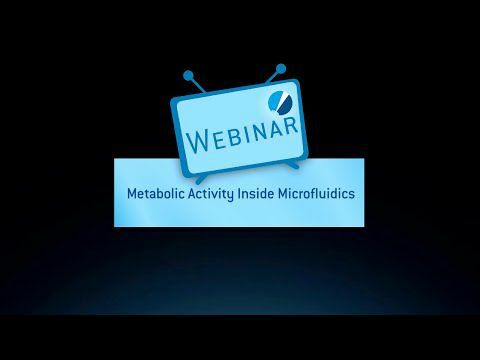 The Automated Micromanipulator is specifically designed for profiling applications with the PreSens profiling microsensor (PM), and can also be operated with needle-type housed (NTH) and implantable (IMP) microsensors, as well as dipping probes (DP). With this system the microsensor can be moved vibration-free with µm reading accuracy and it enables exact localization of the sensor in the sample. Automated profiling can be performed along one dimension in µm resolution. 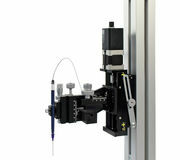 The micromanipulator additionally comprises a tilting platform so the microsensor can be adjusted at an angled position. The associated user-friendly, and database-supported software PreSens Profiling Studio allows easy control of the AM and the respective oxygen, pH or CO2 meter via USB. The software offers multiple features from clear data organization and export, easy creation of profiling templates, to analysis functions. The Heavy Stand (HS) ensures save mounting and operation of the Automated Micromanipulator. 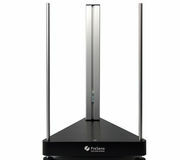 The heavy base plate enables a most stable and vibration-free set-up. The HS comes with two square profile rails of different lengths, so the micromanipulator can be installed in different heights, and is adaptable to different samples. Additionally, two metal rods can be attached to the HS to install further measurement equipment, like VisiSens, cameras or lighting next to the AM. The HS can be balanced with its three adjusting feet and the spirit level integrated in the base plate if required. 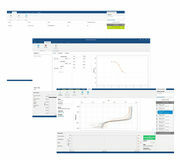 This software enables control of the Automated Micromanipulator and connected oxygen, pH or CO2 meter. It is database supported and offers multiple features from clear data organization and export, easy creation of profiling templates, to analysis functions.